Products can be ordered using the contact form. Apologies for the inconvenience. 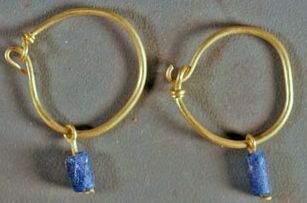 These Roman earrings constist of gold-filled wire and pendants of glass or gemstones. 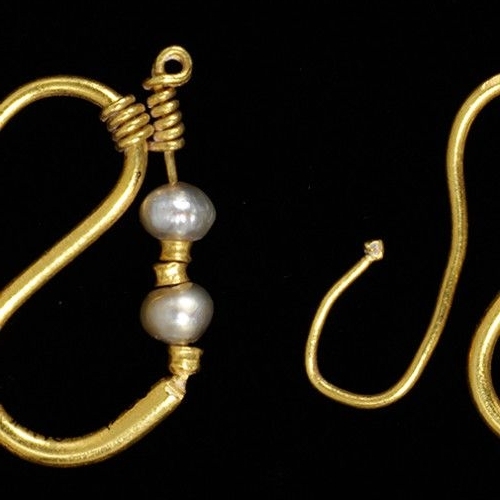 This type of earring was immensly popular during the first and second of the Roman Empire. 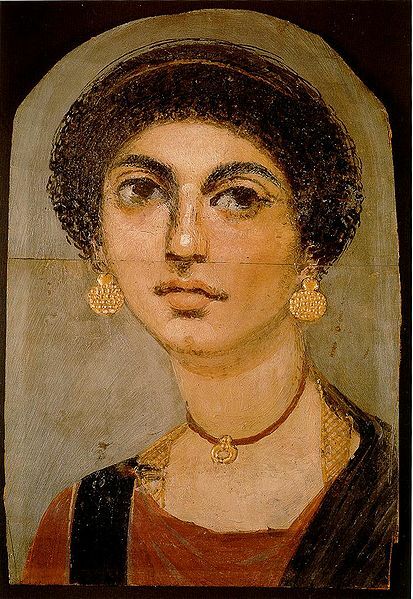 The last three images show original archeological finds of these earrings and a stuning portrait from Roman Egypt. 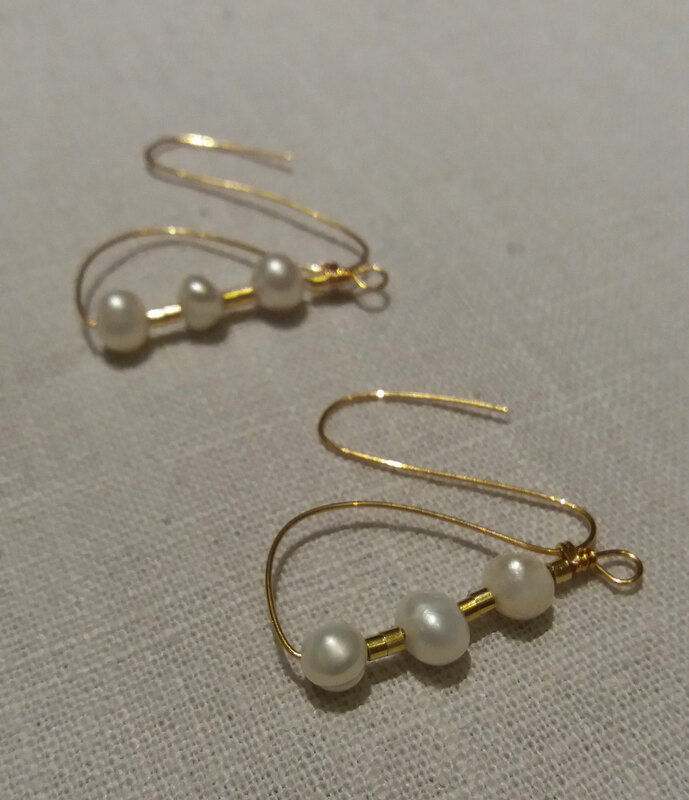 This pair of earrings consists of genuine freshwater pearls and gilded ear hooks. These earrings have been named after their current place of exhibition: The Victoria & Albert museum in London. 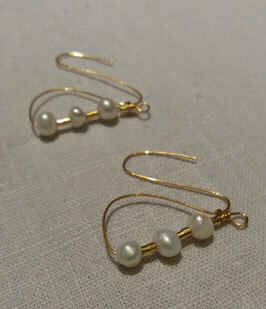 The earrings costist of gold-filled wire and fresh water pearls. The unusual S-shape of these earrings was a common safety-element in Roman jewellery: they prevent the earring from slipping of the ear. 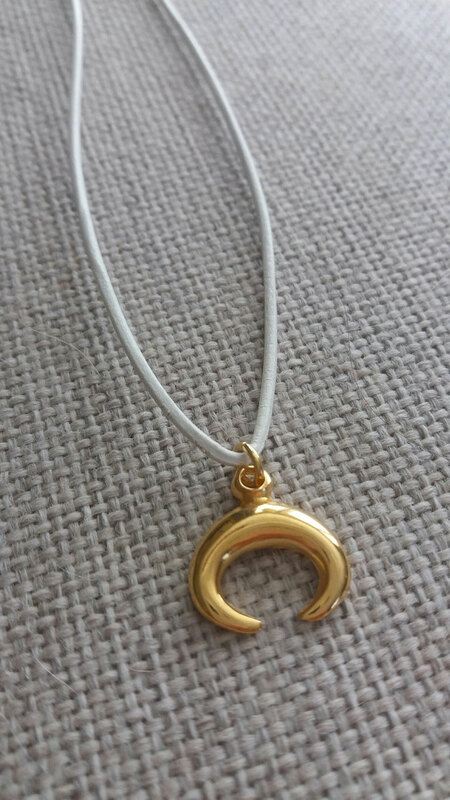 Lunula pendants were worn by many Roman girls and women as a protective charm (images 3-5). 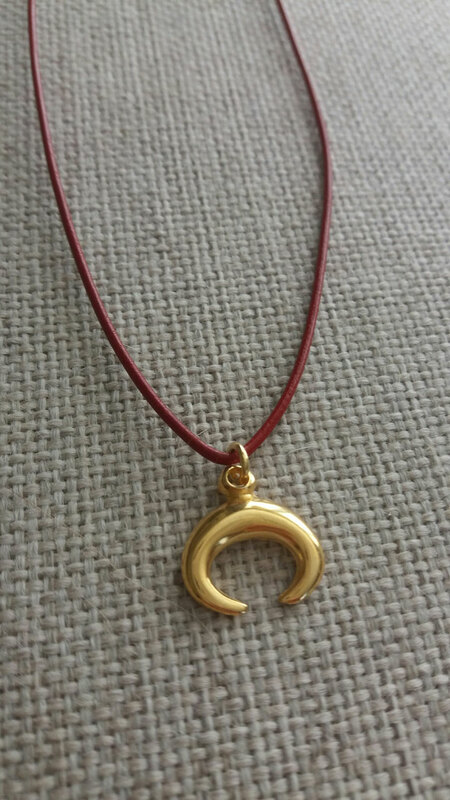 It is the symbol of Diana/Artemis, the goddess of the hunt, the moon and childbirth and therefore the protectress of women. 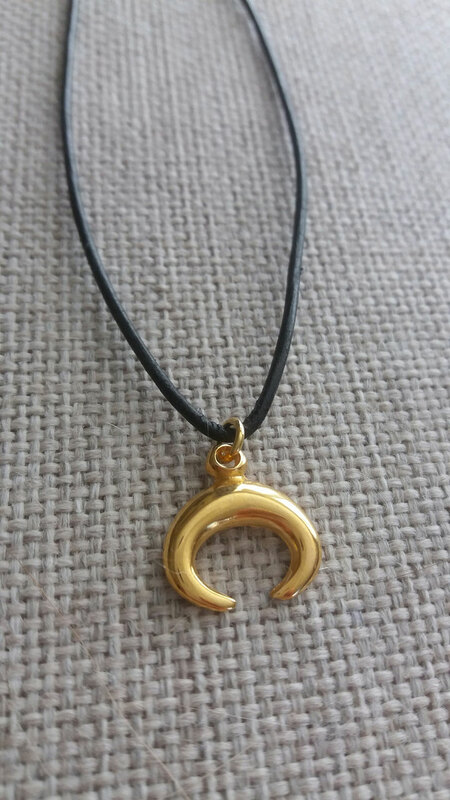 This product includes the pendant and the gilded chain. 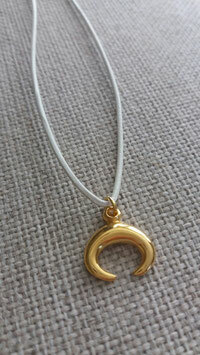 The pendant is availalbe in two sizes: 18 mm (small) and 32 mm (large). 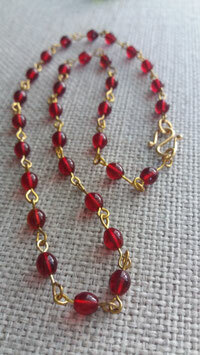 Carbunculus was the Latin name for both rubies and garnets. Like all other valuable gemstones, the much beloved garnets were imitated in glass by the ancient Romans. 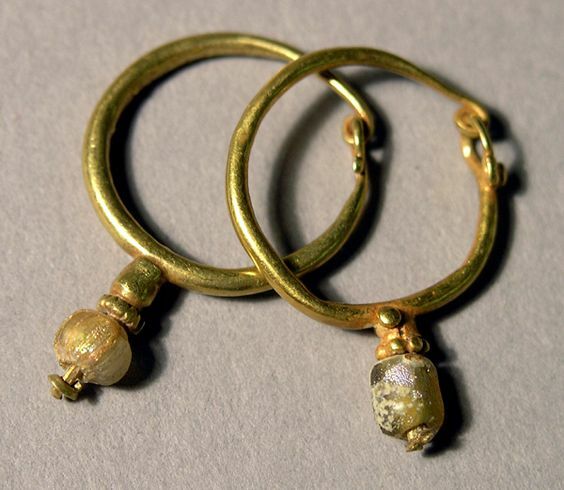 Their proficience in imitation stones was remarkable and typical for Roman jewellery. Glass was used for many purposes: windows, posh tableware and jewellery. 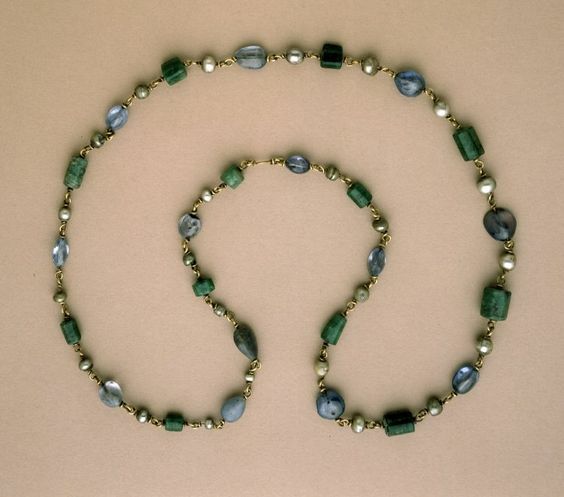 One of many examples of glass bead jewellery can be found in the British musuem (image nr. 2). 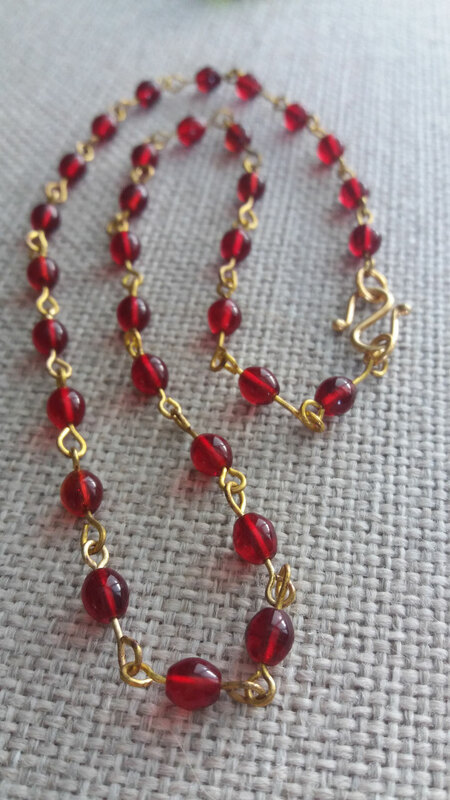 This necklace consists of glass beads in a deep red wine colour and metal chain links, closed by a gilded S-hook. 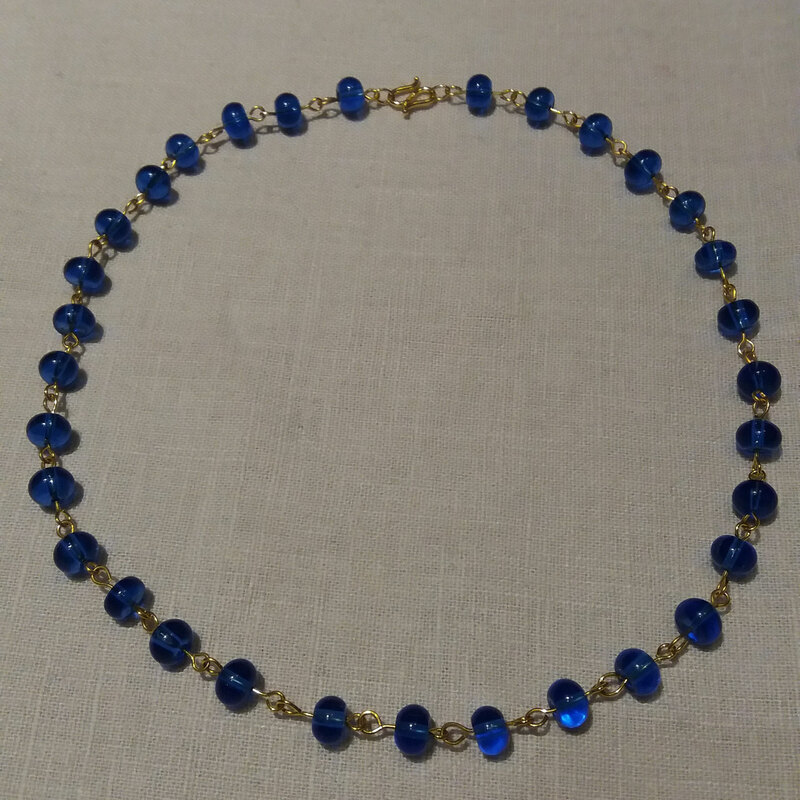 These necklaces are availabe in blue, green glass and red (see product below) beads. Glass beads were colored in order to imitate expensive gemstones such as lapis lazuli, emeralds and garnets. These glass beads were more affordable than real gemstones and have been found as archaeological finds in staggering quantities. The Romans perfected the production of glass and were the first culture to use it in tableware and windows. 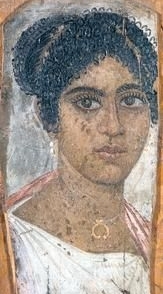 The last image is an archaeological example of the popular linked necklace type, now on display in the British Museum. This necklace consists of richly coloured glass beads and Designer Quality metal links. The clasp is gilded. 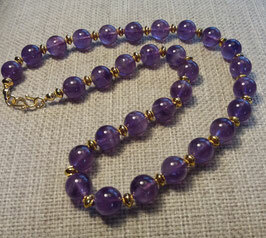 This necklace consists of amethyst and gilded spacer beads. 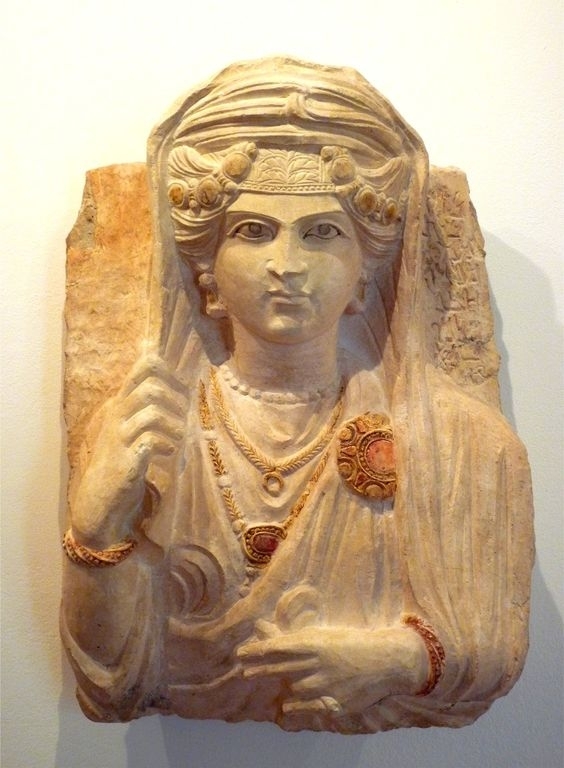 The Romans imported these beautiful purple gemstones from across the known world: modern-day Afghanistan. 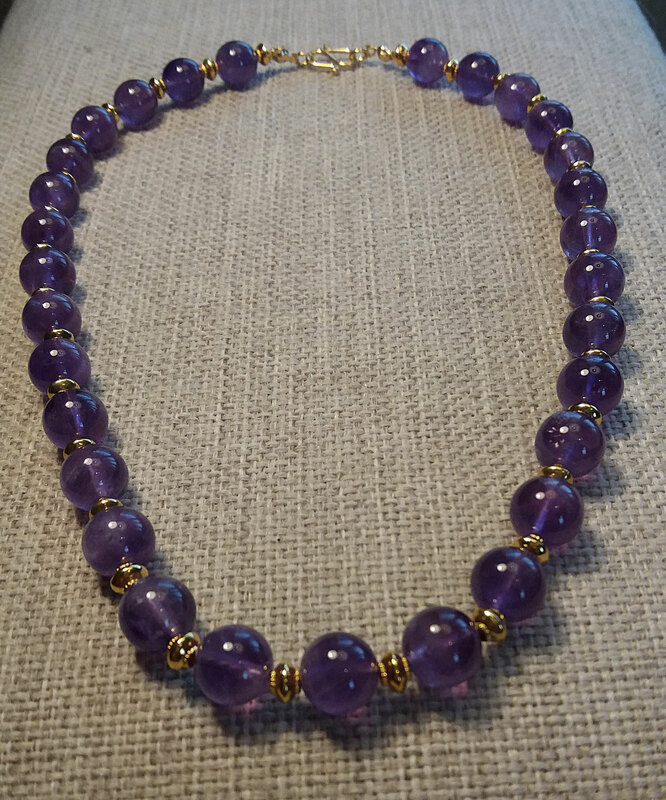 Amethyst shared its second place with garnets as Roman ladies' favourite gemstone. 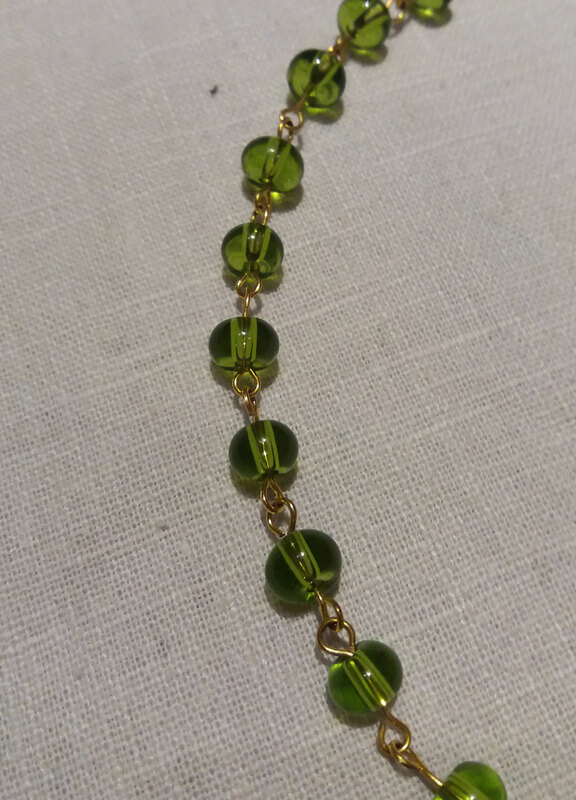 The beads are 10mm in diameter and all metal elements are gilded. If purple is not your favourite gemstone have a look at the bottom of this page: it is also available in rock crystal and carnelian. 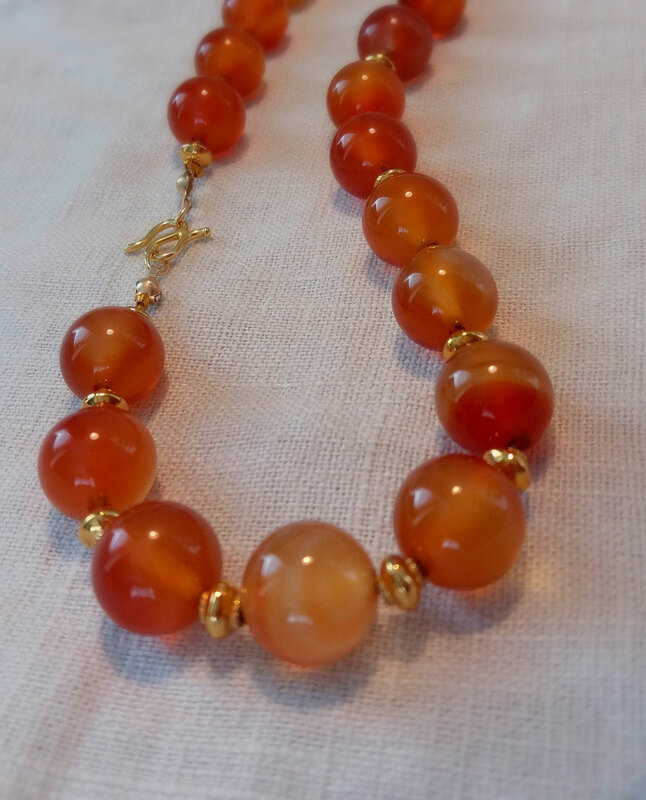 Carnelian was imported from far beyond the borders of the Roman Empire. Its principal sources were located in India: a long way by camel and boat. The efforts of the merchants was reflected in their price and rarity. Carnelian is a relatively soft gemstone and was often engraved and set in signet and amuletic rings. 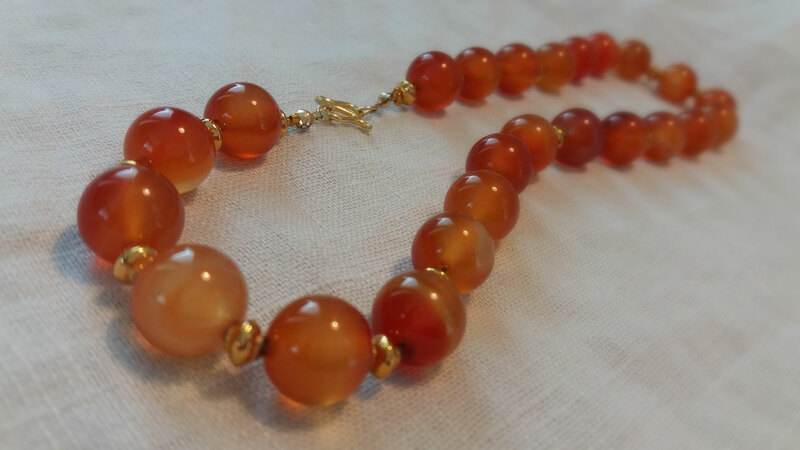 This necklace consists of natural carnelian beads, 12 mm in thickness, and Designer Quality metal beads. 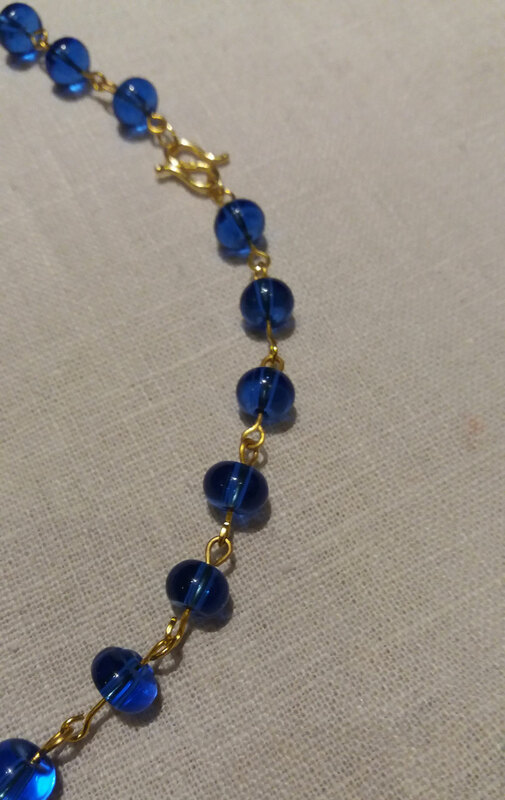 The clasp is gilded.